eVisit is the telemedicine software platform for physician’s offices. Its cloud-based SaaS application allows physicians, PAs and NPs to evaluate and treat their existing patient population remotely, via webcam interaction. Unlike competitors, eVisit is the only platform for providers, designed to allow telemedicine reimbursement from third party payers. eVisit can increase patient flow up to 300 percent; and can decrease “no shows” by 80 percent, allowing a practice to recover up to $120,000 a year. Bret Larsen, Co-Founder, CEO. Glen McCracken, MD, Co-founder, president. We are actively marketing through strategic channel partnerships and product integrations. The Primary Care Market generates $135B/year in revenue with a CAGR of 2.6 percent. It employs 745,642 (246,090 physicians) over 130,526 medical practices; 90 percent of primary care physicians operate in SMB medical practices, our target segment (IBISWorld). This segment represents a $9.99B/year addressable market (221,481 buyers x $1,200) + ($121.5B x 8 percent billing fee). Competitors offerings include B2B models with value propositions of lowering costs, B2C models offering convenience or enterprise hardware and software (none offer physicians ability to bill a patient’s insurance, the doctor-patient relationship is non-existent and patients are being asked to pay more). 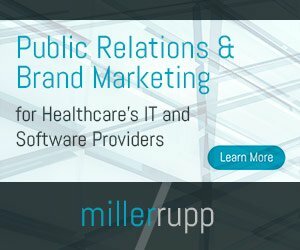 Healthcare practice sign up on a subscription that is charged on a per user, per month fee of $99. We are currently raising our seed round of investment ($1M) and actively looking to hire talented developers.